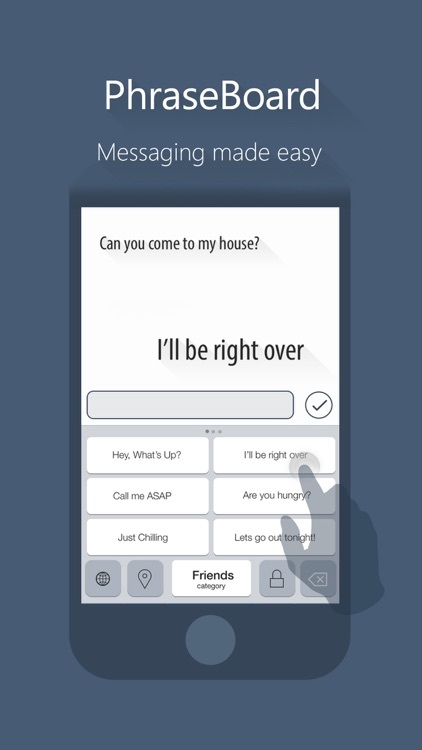 Create and access your most commonly used phrases in a snap with this third-party keyboard. 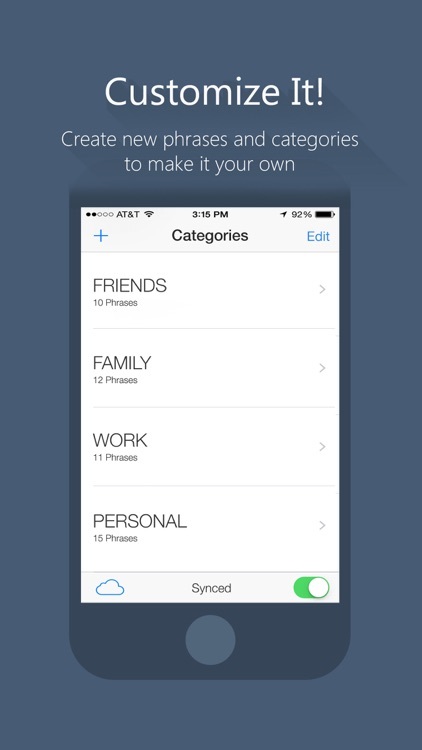 Create your most common phrases and sort them by categories. 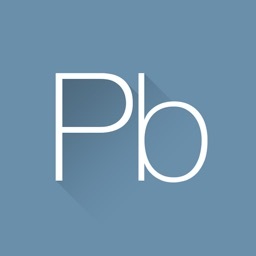 Phraseboard is a handy tool for iOS 8 users who want to shave a few seconds off of their messaging time. If you’re worried about your privacy, skip this and most third-party keyboards. They usually require full access to your keyboard. 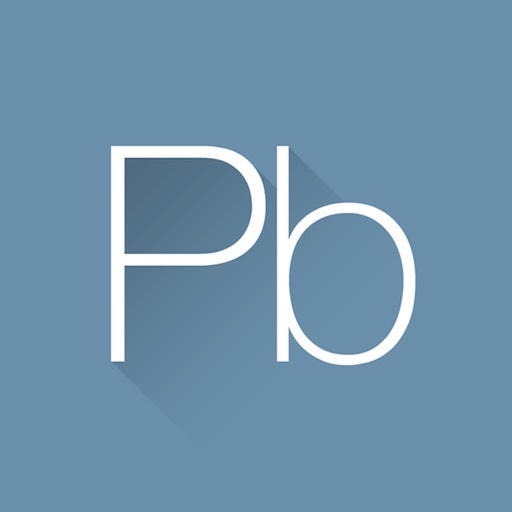 If you have phrases or images you frequently use, make sure to download Phraseboard today. It’s indispensable. 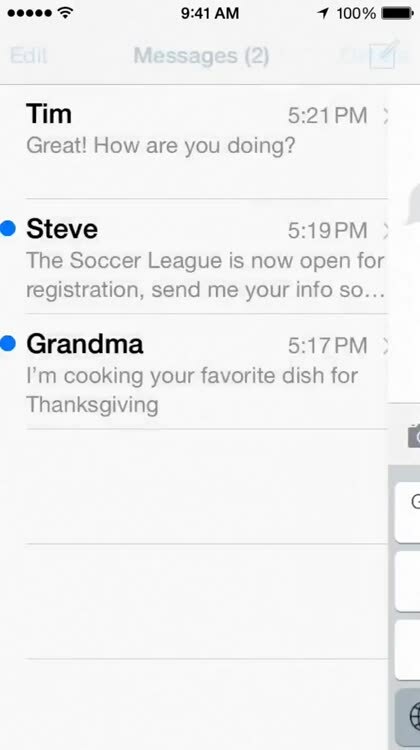 Simply tap a button to send off a quick reply. 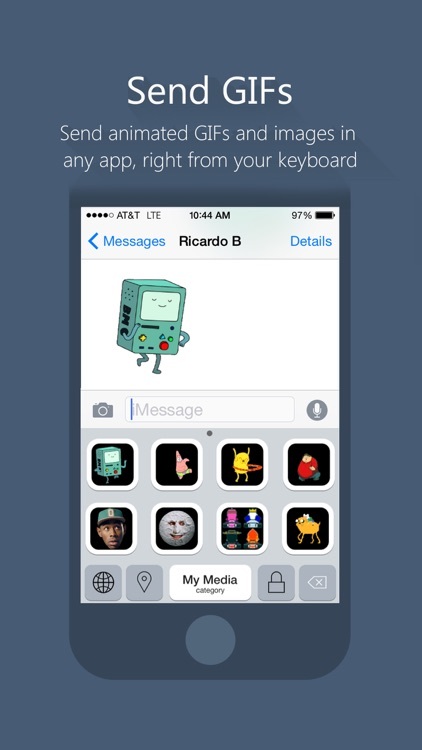 - Send GIFs and images in any app. 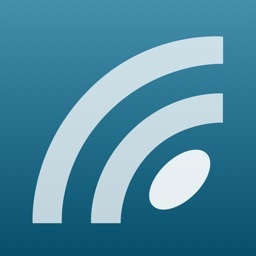 - Share your location with a single tap. 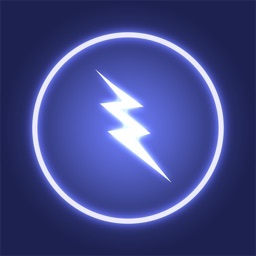 - Protect your phrases using the Secure category. 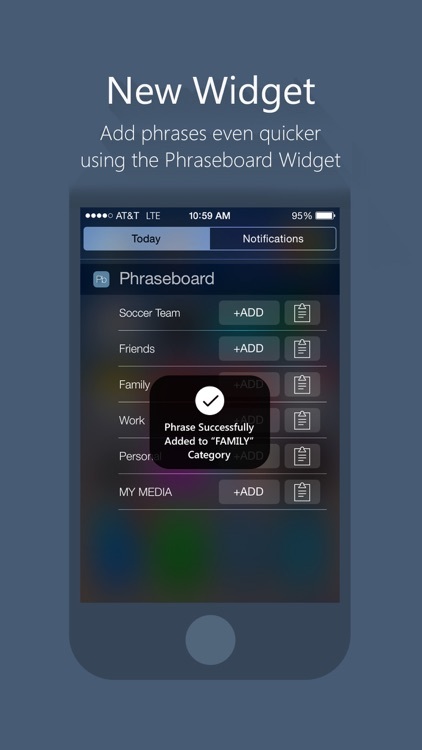 - Add phrases directly from Notification Center using the Phraseboard Widget. 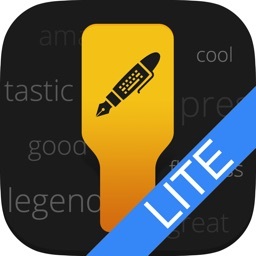 - Sync your phrases in all your devices using iCloud. REMEMBER: In order to show your phrases on the keyboard you must allow OPEN ACCESS. To allow it please go to Settings > Keyboard, click on Phraseboard and turn the switch ON. 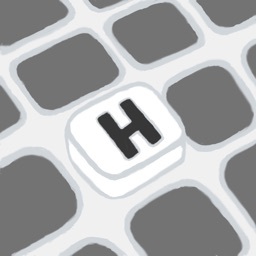 ( Phraseboard ONLY needs open access to be able to show your custom phrases on the keyboard. We never save or log any of your keystrokes). Today’s AGF list includes a medical app, a keyboard, and a calculator. 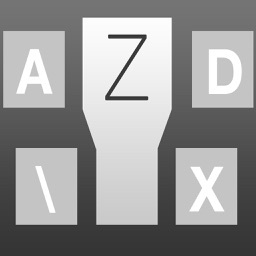 Today’s AGF list includes a couple of third-party keyboards, and an atmospheric side-scroller.